Little Discoveries / To Eat or Not to Eat!? Here’s my new go to dessert to serve when we have parties at home. Especially for visitors who come from other countries. It’s so easy to serve, no hassle at all. They have a modern way to serve taho. At first, I was weirded out with the straw, but when I tried it, it was really genius. 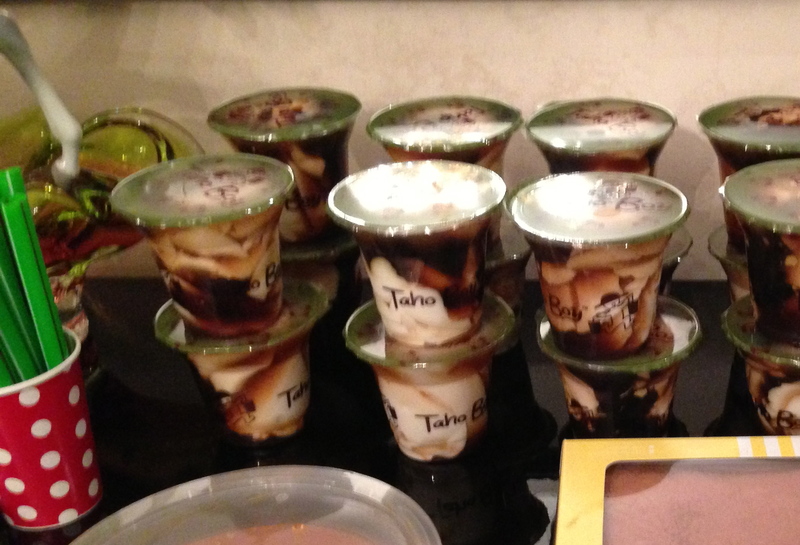 Gone are the sticky and messy ways of eating taho. Here, it’s already sealed and everything is already inside the cup. Then it comes with a big straw so you could just sip the pearls and taho out. No more sticky spoons or dripping cups to dispose of. What’s good about it is its perfect serving size. They also have a medium and large size if this small size isn’t good enough for you. You can also have them lessen the syrup so it won’t be too sweet. In fairness, I love how this taho boy tastes. Real yummy!